I dreamed up this version back in September when I visited Goldhawk Road. At £1 per metre, there seemed to be endless possibilities with polycotton! In principal, this will go with almost anything, apart, possibly from some of my blue skirts! I have made several changes from my first version. I’ve reduced the size down to a standard size 6, and that seems to work better. I’ve altered the sleeves. The original Mimi’s sleeves are quite tight, and actually, I don’t much like them, so these are simpler. They are just below the elbow, which is quite an odd length, but rationalised by the fact that I have several garments with sleeves this length. I’ve rounded off the collar, rather than the pointed version I made previously. 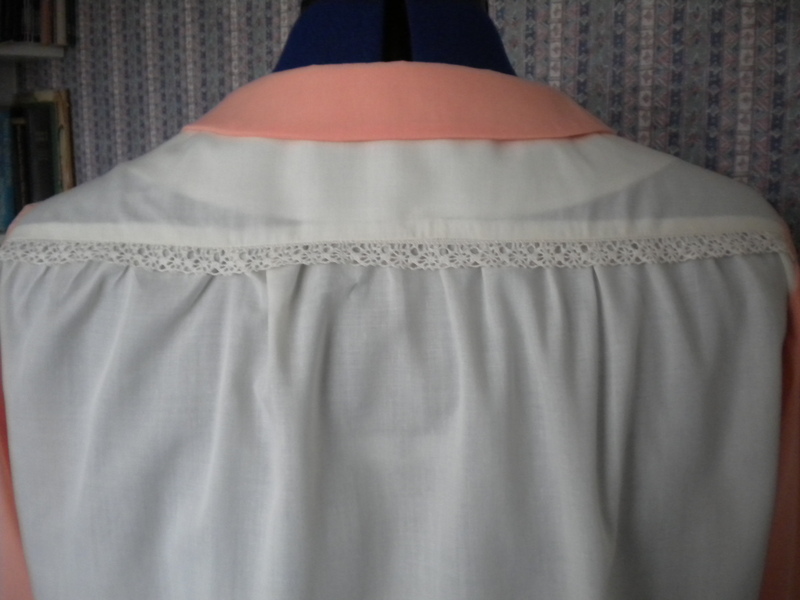 The intention was to trim with lace round the collar, but some serious contemplation about how best to do that convinced me not to do it at all, and the length of trimming originally allocated to the collar, ended up round the sleeves. I’ve some a few things the same as my first version. 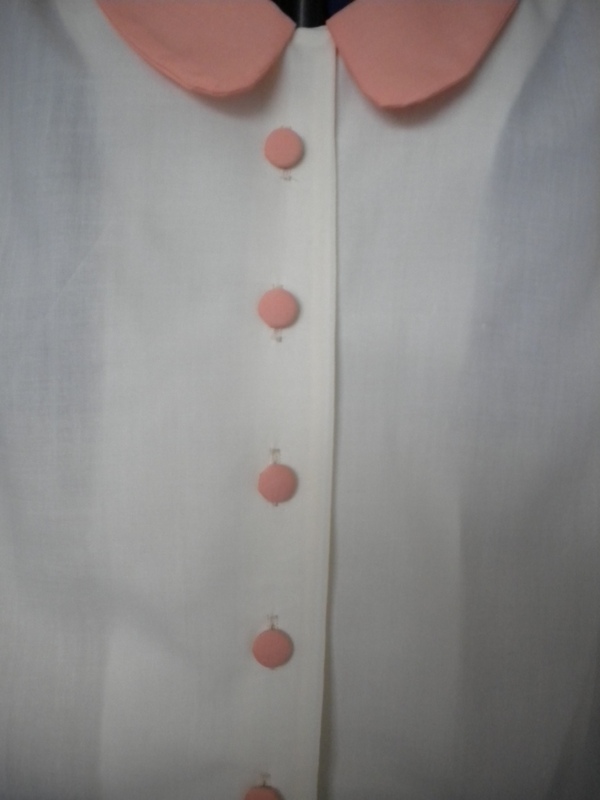 In particular I have made more self -covered buttons. In the right place, I love self covered buttons, and this is definitely a good place to use them. There is a strange satisfaction from the little pop when you know that the back has engaged properly with the front and you have another button! The buttons cost more than the fabric, and I have used two layers of poly cotton this time, rather than one layer which I used previously. Last time I had great success with my normally trouble-some button hole foot. This time I did not. Including many test button holes on scraps of fabric, I probably did about 20 odd button holes in total, of which only about 10 worked. 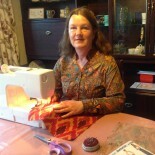 Six of them are on the blouse; the rest are on the fabric scrap, and I think I unpicked about 4 actually on the blouse. BUT, although not actually knowing what is wrong with the process, I think I have sussed the sound of a good button-hole when I re-set the machine. All being well, tomorrow I will complete something else, and a test run this evening confirmed that a certain solid click sound is an indication that it is going to be a good button-hole. In case you are interested and can help, my machine does the back pass of the button hole, but often doesn’t switch sides and come back on the forward pass. 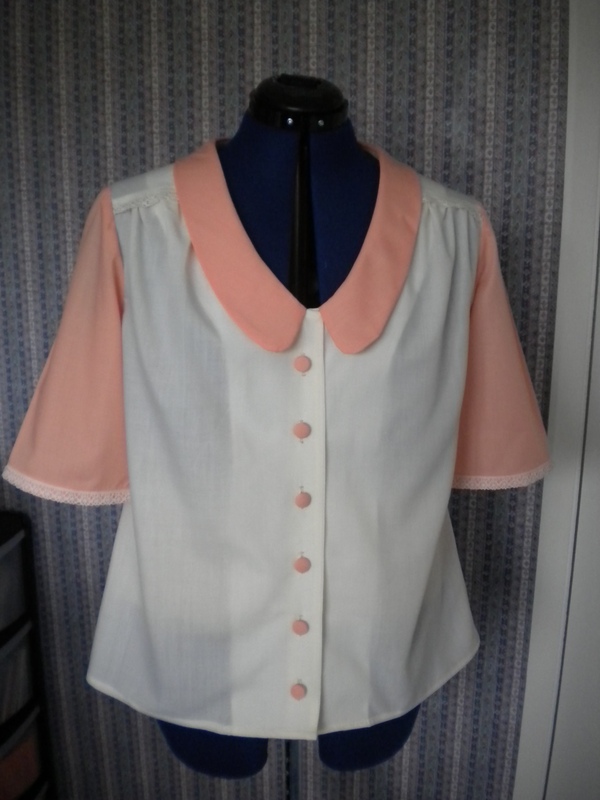 Maybe it matches the fabric too well, which is why i chose to contrast it against the sleeves! Anyway, this was bought on the same trip to London, but from VV Roulleux, my go – to haberdashers in London. So the trimming probably cost more than the fabric as well. But I have a unique blouse for about a tenner, which is great. I don’t think that this is going to Australia. I made it now whilst I had white thread in the overlocker. That’s my white overlocking finished now. 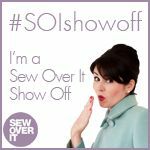 I can change the colour of the thread and sew something else. As you will see shortly. 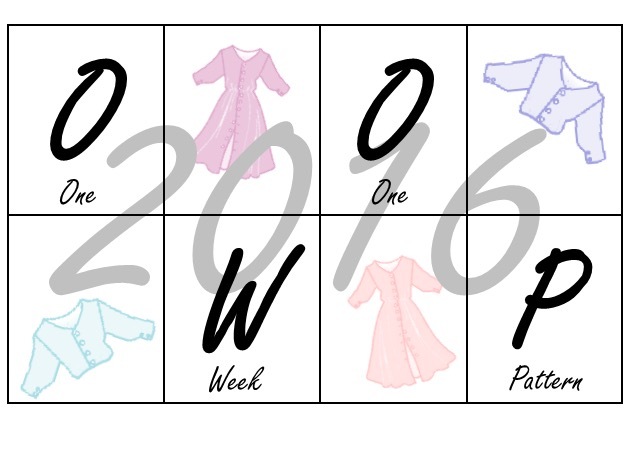 This entry was posted on December 29, 2014 by ann hebden in Blouses, Fashion, Sewing, Tilly and the Buttons, Tops and tagged blouses, Fashion, Handmade, Love at First Stitch, Mimi blouse, Sewing.